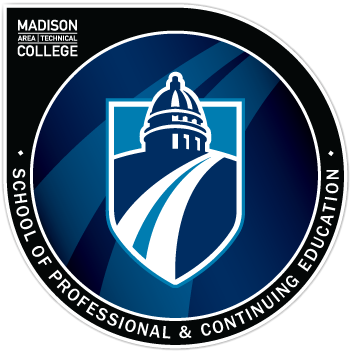 The Digital Credentials Institute (DCI) is a collaboration between IMS Global Learning Consortium and Madison College, with input and participation from other strategic partners. Launching in May 2018, DCI will provide resources, research, and consultative services on topics, trends, and program design related to digital credentials, workforce training, and development. For more information, visit Digital Credentials Institute. May 9, 2018 - The Digital Credentials Institute (DCI) announced today a collaboration between Madison College and IMS Global Learning Consortium (IMS Global), in consultation with The Open University (UK) and other interested advisors. The mission of DCI is to provide free and subscription-based research and information on micro-credentials and Open Badges programs worldwide. We anticipate that The Digital Credentials Institute along with IMS Global will become the authoritative source for understanding adoption, trends and topics impacting digital credentials in education, workforce training and development. A digital badge is an information-rich, validated record of accomplishment, skills, or interest that can be earned in many learning environments and shared through online outlets via the IMS Global Open Badges standard. Open Badges can represent attained knowledge, specific skills or sets of skills such as a certificate program or a course—all in a machine-readable form which can be used to automate recognition, search and discovery of talent in 21st century recruiting and talent development. IMS Global is the leader of the Open Badges standard originally developed by the Mozilla Foundation and has recently published Open Badges 2.0 (OBv2), which adds important features for endorsement, accessibility and multiple language support. “The Digital Credentials Institute will provide a much-needed evidence base for organizations, educational institutions and employers wishing to issue or recognize digital achievements. Interpreting the impact and potential of this growing area is an essential activity to support educators and employers in an expanding digital economy” says Patrina Law, Head of Free Learning, The Open University. The Institute will be led by Executive Director, Kate Radionoff and Associate Director Lesley Voigt, both recognized experts in the field of micro-credentials and badging, having won awards for their pioneering work. Radionoff serves on the IMS Global Digital Credentials Executive Board and on the Credential Engine higher education advisory board.